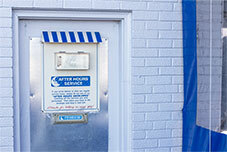 You will notice a difference when you visit our auto repair shop. As a family owned and operated business we treat our customers like family. We pay attention to detail and take price in the level of service we offer both to our customers and their vehicles. The Golden rule is part of our success which is treating others the way we would want to be treated. We provide a lobby with comfortable seating, reading materials, and a friendly smile so you can relax why your car is repaired. On our rear door, you will find a key drop box where you can leave your key overnight for us to retrieve in the morning if our offices are closed. This is convenient if you’ve been in a car accident or heading out of town and need service. 24,000 miles parts and labor warranty. Our goal is to keep your vehicles running properly at all times. 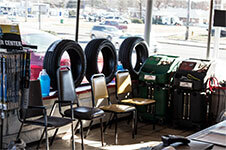 We offer a number of services that are carried out by our certified expert auto service and repair technicians. Our car repair experts have years of experience performing everything on your vehicle from oil changes to computer diagnostics. 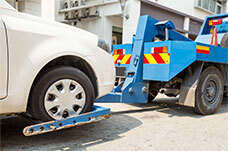 It is a requirement in the state of Missouri that residents have regular vehicle inspections. The Missouri Department of Revenue (DOR) has two parts that are mandatory for an automobile inspection: Emissions Testing and Smog Check (a requirement for St. Louis City, County, and Jefferson County) Vehicle Safety Breuer’s Automotive can provide multiple inspections including those required by State law. To learn about our inspections click here. Breuer’s Automotive can provide multiple inspections including those required by State law. To learn about our inspections click here.